[Wednesday, October 1, 2008] NASA has awarded a two-year, $650 million contract extension to The Boeing Co. to continue engineering support of the International Space Station to Sept. 30, 2010. [Thursday, October 2, 2008] These folks are building real spacecraft with private funds for commercial reasons. Even more companies presented papers with plans for imaginative spacecraft that may become more than viewgraphs -- or should I say, electrons -- in the future. [Thursday, October 2, 2008] Space Adventures, Ltd., announced today that their orbital spaceflight client, Richard Garriott, will participate in a suite of experiments in cooperation with NASA during his 10-day mission. [Monday, October 6, 2008] NASA is in the conceptual phase of identifying key performance indicators for the successful design and production of the "Altair" (Lunar Lander) vehicle. Our goal is to meet NASA's Lunar Exploration requirements safely and at the lowest life cycle cost. [Monday, October 6, 2008] NASA/GSFC/Wallops Flight Facility plans to issue a DRAFT Request for Proposal (DRFP)] for NASA Sounding Rocket Operations Contract Follow-on (NSROC II). [Wednesday, October 8, 2008] A week spent reviewing data has confirmed that the flight went really well, including the coast and restart. The mood here at SpaceX is just ecstatic! This is the culmination of six years of hard work by a very talented team. [Wednesday, October 8, 2008] NASA is releasing an updated version of the Work Force Transition Strategy Report, which was delivered to Congress on Wednesday. The report details the agency's plan to minimize job losses while transitioning from the Shuttle to Constellation. [Thursday, October 9, 2008] The 2008 edition of NASA's annual Spinoff publication celebrates the agency's 50th anniversary and highlights 50 new examples of how NASA technology is being put to use in everyday life. [Friday, October 10, 2008] Last year, before Ed Weiler came back to NASA Headquarters to be the Associate Administrator for NASA's Science Mission Directorate, an internal cost study was done to see how much SMD overruns every year on its various projects and missions. [Friday, October 10, 2008] SpaceDev, Inc. announced today that SpaceDev Founder and Board Member James Benson, 63, died peacefully in his home. [Friday, October 10, 2008] SPACEHAB today announced its receipt of a NASDAQ Staff Determination letter on October 7, 2008 indicating that its securities are, therefore, subject to delisting from The NASDAQ Capital Market. [Sunday, October 12, 2008] Space Adventures, Ltd., announced that its orbital client Richard Garriott and his crew successfully launched aboard a Soyuz TMA spacecraft from the Baikonur Cosmodrome in Kazakhstan en route to the International Space Station (ISS). [Sunday, October 12, 2008] Soyuz TMA-13 (17S) launched flawlessly this morning on time at 3:01:38am EDT carrying ISS-18 CDR Michael Fincke (first American to launch twice on a Soyuz), Soyuz CDR/ISS-18 FE-1 Yuri Lonchakov, and SFP/VC15 Richard Garriott. [Tuesday, October 14, 2008] Space Adventures, Ltd., announced today that its orbital client Richard Garriott and his crew successfully arrived at the ISS after launching onboard the Soyuz TMA-13 spacecraft from the Baikonur Cosmodrome in Kazakhstan on October 12. [Tuesday, October 14, 2008] The Lockheed Martin (NYSE:LMT) Space Systems Company's Advanced Technology Center (ATC) has lead the development of the IBEX-Lo sensor. 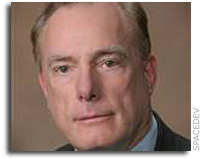 The Southwest Research Institute (SwRI) awarded the contract to the ATC. [Friday, October 17, 2008] Nine teams with rocket-powered vehicles will compete for $2 million in NASA prize money during the 2008 Northrop Grumman Lunar Lander Challenge, Oct. 24-25, at Las Cruces International Airport in New Mexico. 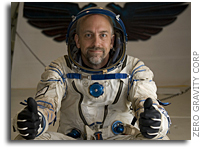 [Monday, October 20, 2008] Lockheed Martin recently delivered the backshell for the Mars Science Laboratory (MSL) to NASA's Jet Propulsion Laboratory in Pasadena, Calif.
[Tuesday, October 21, 2008] Space Adventures' sixth orbital client and famed Ultima and Tabula Rasa video game developer Richard Garriott is currently onboard the International Space Station (ISS) orbiting Earth, conducting research and experiments. [Tuesday, October 21, 2008] SpaceDev, Inc. announced that it has signed an agreement to be acquired by privately-held Sierra Nevada Corporation. Under the agreement, SNC would acquire for cash the outstanding equity of SpaceDev for the gross purchase price of $38 million. [Tuesday, October 21, 2008] This is a great symposium, named in honor of one of the most charismatic leaders NASA has had, Wernher von Braun, who accomplished great things here in Huntsville but became intensely frustrated with his later Headquarters assignment. I know how he felt. [Tuesday, October 21, 2008] The U.S.-India Business Council (USIBC) for more than a year has been looking forward to celebrating this momentous occasion, as India -- host to the fifth most advanced space program in the world -- sought to achieve this historic milestone. [Thursday, October 23, 2008] NASA/JSC is issuing a Request for Proposal (RFP) for Program Integration & Control (PI&C) support for the continued research, development, and operation of the International Space Station (ISS) Program Office. [Thursday, October 23, 2008] PlanetSpace announced today it has added the Space Exploration division of The Boeing Company to its existing teammates on the proposed solution to NASA for the Commercial Resupply Services to the International Space Station. [Thursday, October 23, 2008] News media are invited to view the newest addition to Moffett Field - the first airship to fly over the U.S. for more than 70 years - on Monday, Oct. 27, 2008. [Thursday, October 23, 2008] Commander Sergei Volkov and Flight Engineer Oleg Kononenko of the 17th International Space Station crew landed on the steppes of Kazakhstan at 11:37 p.m. EDT Thursday after more than six months days in space. [Saturday, October 25, 2008] Armadillo Aerospace team leader John Carmack wore a big smile yesterday as the team earned $350,000 in prize money for winning Level One of the Northrop Grumman Lunar Lander Challenge in Las Cruces, New Mexico. [Monday, October 27, 2008] Armadillo's winning vehicle successfully demonstrated some of the technologies needed for a lunar lander capable of ferrying payloads or humans back and forth between lunar orbit and the lunar surface. [Thursday, October 30, 2008] NASA will host the inaugural Small Business Symposium and Awards Ceremony Nov. 17-18 in Washington at the Hilton Washington, 1919 Connecticut Ave., NW. Participation in this symposium is open to industry, academia and domestic small businesses. [Thursday, October 30, 2008] Odyssey Moon Ventures LLC, a U.S. company developing commercial systems for lunar exploration, announced today that it has partnered with NASA for the development of a robotic lunar lander.